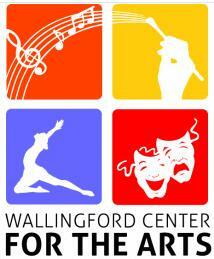 The Wallingford Center for the Arts endeavors to provide educational, artistic, and recreational opportunities for the community of Wallingford, CT and surrounding communities. Programming provided through the WCA is open to all individuals regardless of race, creed, economic level, or physical/intellectual disabilities. The WCA encompasses Dance, Drama, Music, and the Visual Arts and seeks to provide experiences that will bridge and appreciate the differences among us and to build life skills and individual character in each individual through a common artistic venture. · The Wallingford Community Theater provides a mentoring experience where the participants learn various skills in stagecraft from professionals and college interns and then to employ them in the theater productions. Possible future plans would include a Student Playwright Program in cooperation with the local school systems where the top plays written by senior high students would be produced by the Theater. Currently the WCA supports a Summer Theatre Season for Youth and Children with past productions including Grease, The Musical, The King and I, The Wizard of Oz, and Beauty and the Beast, Jr. This summer’s production is Happy Days, The Musical. The WCT is proud to have awarded its inaugural scholarships to graduating seniors who have participated in the WCT and are going on to institutions of higher learning. · The Wallingford Art League was initiated in November, 2009 with A Celebration of Wallingford Artists held at the Paul Mellon Arts Center in Wallingford, CT. The response from local artists, both professional, as well as recreational artists, was so tremendous that future exhibits are currently scheduled. Future plans also include an exhibit for youth, as well as a celebration of senior artists. · Wallingford Center for the Arts Outreach Program is an educational program that seeks to support local school systems and educational programs, especially those that address children at risk or special needs programs by bringing artistic opportunities that reach beyond the established curriculum. The WCA Outreach Program inaugural program was in 2009 – 2010 with students from Hanover Elementary School. The WCA commissioned an artist to work with the students to produce a large mural depicting Hanover Pond – Past and Present, as part of the Ecological studies of the Quinnipiac River Watershed Area. During the 2010 – 2011 school year the WCA Outreach Program is exploring the possibility of developing two new programs; one for students on the Autism Spectrum, and another for students learning English as a second language. Schools and programs interested in the Arts Outreach Program may contact us at: wcfa@att.net or by writing us at Wallingford Center for the Arts, P.O. Box 4312, Wallingford, CT 06492.